Moving into a retirement village is a great opportunity to be independent, and have your home maintained, while freeing up a bit of capital. Retirees looking to move out of a house that is now too big for them can benefit from a federal government initiative announced last year. The changes in the 2017-18 budget mean that from July 1, 2018, people aged 65-plus who have owned their primary residence for more than 10 years will be able to sell it and contribute up to $300,000 from the proceeds of the sale into their superannuation. Each member of a couple can take advantage of this measure from the same home sale, meaning a couple can contribute up to $600,000. Gawler Community Retirement Homes is a not-for-profit organisation that offers retired people aged 55 and over the opportunity to downsize and still live independently within the community they know and love. Residents can live as they wish within their homes, while staff maintain the property, even if it’s as simple as changing a light globe or replacing a hot water service. This means residents can live as privately as they like and still know they don’t have to worry about organising any maintenance themselves. Plus many of your expenses are covered by a weekly services fee and administered for you. There are a range of units available to suit a variety of budgets. Our ‘Subsided Entry’ level units are great for people without a lot of capital behind them. Once you have an agreement, there is no requirement to sign a new lease every 12 months; your contract allows you to live in the home as long as you want. For a resident funded residence, you purchase the home, treat it as your own home for as long as you need; then receive a refund when you move out. And because there is no stamp duty or conveyancing fees you save up front; for a unit valued at $200,000, it is a saving of about $9000.” Check out our current vacancies or contact the office staff for information about what we can offer you. 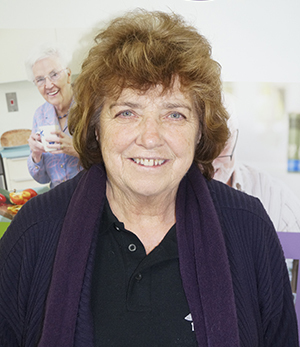 Gawler Community Retirement Homes (GCRH) would like to congratulate our Chairperson, Helen Sands on being named Gawler’s Citizen of the Year at Friday’s Australia Day celebrations. She puts in plenty of time for our organisation and has had strong involvement in other local projects over many years. Helen has been a member of the Board since 2010 and in October last year she succeeded Bruce Eastick as Chair; which is a notable achievement in itself! Bruce, who remains on the Board, had been the only Chairman that our organisation has had since it was inaugurated in 1969! As well as Helen’s appointment, Shane Hennessy, also a Board Member since 2010, was voted into the role of Deputy Chairperson. At the same time GCRH also took a significant step by changing its business name. Our official name has been Gawler & District Aged Cottage Homes; but the GCRH title has been used in recent years to clearly identify what the business provides. We have now taken the step to change our business name to Gawler Community Retirement Homes and have gracefully consigned our original name into ‘retirement’. The GDACH former name is noted as a part of the Rules of the Association. GCRH remains a committed not for profit organisation with a community focus towards people seeking a hassle free but independent retirement. When retirees purchase from GCRH, they are provided with comfortable fully refurbished or sometimes new homes. Thanks to Drakes Foodland at Gawler for the continuing support of Gawler Community Retirement Homes. This week a third new resident received a Drakes Foodland Voucher when moving into one of our new units. Pictured is Sandra Pink, who is now a happy resident in Elimatta Village. 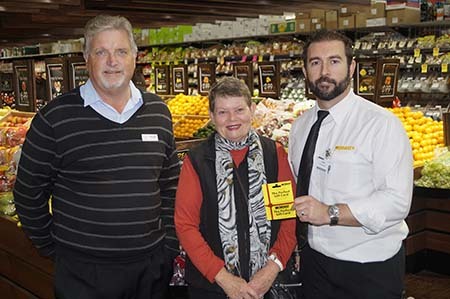 Sandra is pictured being presented with her voucher by Gawler Foodland Store Manager, Chris Nowicki watched by GCRH Manager Peter Smith. Gawler Community Retirement Homes (GCRH) conducted the Official Opening of its new development at 18 Tod Street. The Board thanked the Mayor of Gawler, Karen Redman, for opening the new development.